Following the success of other Stephen King adaptations like IT and Gerald's Game, as well as the popularity surrounding Hulu's Stephen King-inspired series Castle Rock, the celebrated author's beloved horror novel Pet Sematary is being adapted for a second time. After the Creed family moves to Ludlow, Maine, they discover that a mysterious cemetery near their new home has the ability to raise the dead. Now, 36 years since the novel's release in 1983, and 30 years since Mary Lambert's feature-length adaptation, Pet Sematary will be unearthed yet again. Here is everything you need to know about the new movie. In Mary Lambert's adaptation of Pet Sematary in 1989, the cast was comprised of either TV or B-list actors. In fact, the most recognizable name in the movie was Fred Gwynne, who is best known as Herman Munster in The Munsters and Judge Chamberlain Haller in My Cousin Vinny, which he starred in after Pet Sematary, incidentally. In the upcoming adaptation, however, Jason Clarke (Mudbound, Dawn of the Planet of the Apes) stars as Louis Creed, Golden Globe and Emmy award winner John Lithgow (The Crown, Dexter) stars as Jud Crandall, and Amy Seimetz (Stranger Things, Alien: Covenant) stars as Rachel Creed. Obssa Ahmed, Hugo Lavoie, Lucas Lavoie, Jeté Laurence, and Sonia Maria Chirilia round out the cast. Recent Stephen King adaptations within the past few years have attached burgeoning directors within the horror genre. Andy Muschietti had only directed the horror movie Mama before Warner Bros. hired him for IT and IT: Chapter Two, Mike Flanagan's first feature Oculus was released only four years prior to his work on Gerald's Game, and Zak Hilditch had mostly directed shorts before he joined 1922. With Pet Sematary, co-directors Kevin Kölsch and Dennis Widmyer directed a handful of shorts, some episodes of MTV's Scream series, and a feature-length horror movie called Starry Eyes before entering into the Kingverse. The co-screenwriters behind Pet Sematary are no strangers to the horror genre. The first of the two screenwriters is David Kajganich, who has penned the screenplays for The Invasion, Blood Creek, the TV series The Terror, and the upcoming remake of Suspiria from Luca Guadagnino. 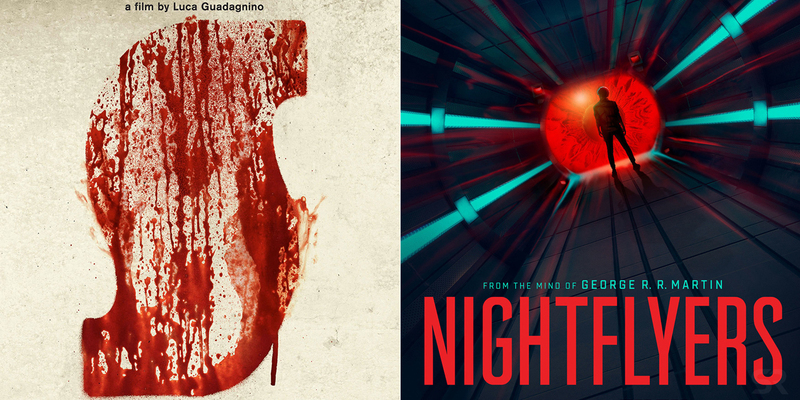 His co-writer, Jeff Buhler, has penned the screenplays for The Midnight Meat Train, a segment from ABCs of Death 2, remakes for both Jacob's Ladder and The Grudge (now simply titled Grudge, which has run into some legal trouble recently), and is also the creator of SyFy's Nightflyers, an upcoming series based on George R. R. Martin's novella of the same name. This Version of Pet Sematary Will Channel the Novel's "Absolute Dread"
It's sometimes inevitable for certain horror movies to tread into slightly campy territory. This is especially true for those released in the '80s and '90s. So, even though Mary Lambert's adaptation of Pet Sematary has its share of fans, there was a considerable amount of "borderline campy" moments at times, according to co-screenwriter Jeff Buhler. He spoke with Dread Central about the upcoming movie and touched on the fact that their version of King's story will be "the scariest Stephen King adaptation ever." Many readers consider Pet Sematary to be King's scariest novel, so living up to that level of acclaim is certainly a tall order. Still, he insisted that he and Kajganich will channel the novel's sense of "absolute dread." 2019 will be a standout year for mainstream horror. Jordan Peele's follow up to Get Out, an original horror-thriller called Us, starring Academy Award winner Lupita Nyong'o, Winston Duke, and Elisabeth Moss is due in March; the sequel to Happy Death Day, aptly titled Happy Death Day 2U, will be released in February; and New Mutants, the first horror movie within the X-Men universe hits theaters in August. That said, Stephen King adaptations will, yet again, be major players in theaters, and Pet Sematary will be released just five months prior to IT: Chapter Two. In fact, Vincenzo Natali's adaptation of In the Tall Grass will also be released in 2019 via Netflix. Before directors Kevin Kölsch and Dennis Widmyer got their hands on the new Pet Sematary adaptation, Academy Award winner Guillermo del Toro once showed interested in helming it himself. In 2015, around the time when he was releasing his Victorian Era thriller Crimson Peak, del Toro had tweeted about King's novel, and revealed enthusiasm towards the idea of directing his own adaptation. Though there was nothing official lined up, the tweet read: "Book of the Day: PET SEMATARY by Stephen King. Unrelentingly dark and emotional. Compulsive reading. Would kill to make it on film." And, before del Toro showed interest in directing, Juan Carlo Fresnadillo (28 Weeks Later) was once in talks to direct. Stephen King's Pet Sematary is hardly running short on creepy characters. Between the reanimated cat Church, the ghost of Victor Pascow, and the antlered demon known as the Wendigo, there is plenty nightmare fuel to live up to other classic King characters from his other novels. However, one character from Pet Sematary in particular is especially haunting: Rachel Creed's sister Zelda, a young victim of spinal meningitis whose death haunted Rachel well into adulthood. In Mary Lambert's adaptation, Zelda was depicted as being much older and was played by male actor Andrew Hubatsek; and in the 2019 movie, she'll be played by newcomer Alyssa Brooke Levine, whose age will be closer to Zelda's age in the novel. A major part of the lore in Stephen King's Pet Sematary novel is a character known as the Wendigo. A powerful demon with necromantic abilities, the Wendigo cursed a cemetery in Maine during the Colonial Era originally known as the Micmac burial ground, and is the reason the events of Pet Semetary ever even happen at all. In Mary Lambert's adaptation of the novel, the Wendigo does not appear (though it was featured in earlier drafts of the script), and it has yet to be confirmed whether or not it will make an appearance in the upcoming movie. Considering the positive response to the character Pennywise in last years' IT, a demonic character who haunts and manipulates a small town might be a perfect fit for this version of the movie, and fans of the novel will no doubt appreciate it staying truer to the source material than Lambert's adaptation did. The poster and trailer for Pet Sematary depict a very specific - and very dark - tone for this version of King's novel. In the poster, a silhouette of Louis Creed is walking towards the titular "Pet Sematary, " shovel in hand. The exposed earth below the ground reveals the skeletons of other creatures (humans included) who have been buried in the cemetery in the past, and a small body of text over the poster features the novel's most famous line, spoken by Louis' neighbor Jud Crandall. It reads: "Sometimes dead is better." The trailer, appearing to remain true to King's source material, touches on the mythology of the cursed cemetery, courtesy of a voiceover from the character Jud Crandall (played by John Lithgow).